So I went a little spray paint crazy over the weekend. 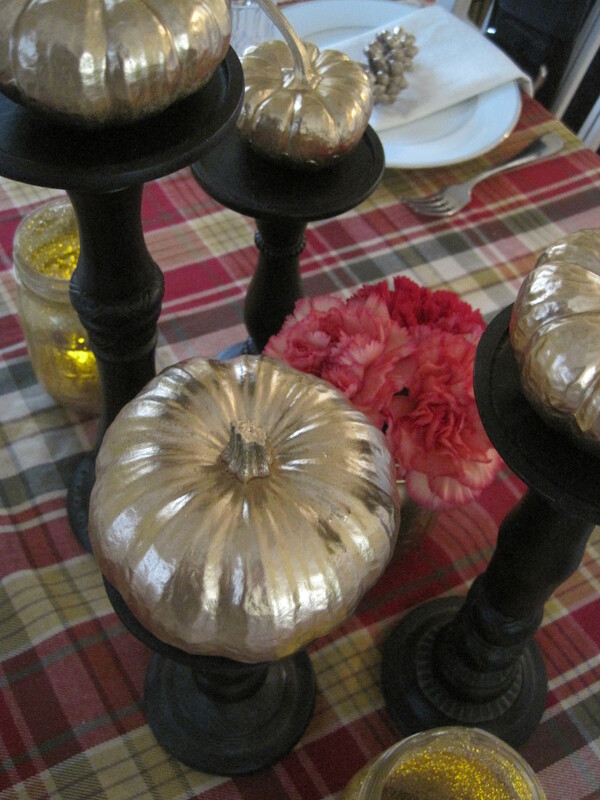 Spraying my mini pumpkins (from Trader Joes for only 69 cents) and the pinecones I collected outside. 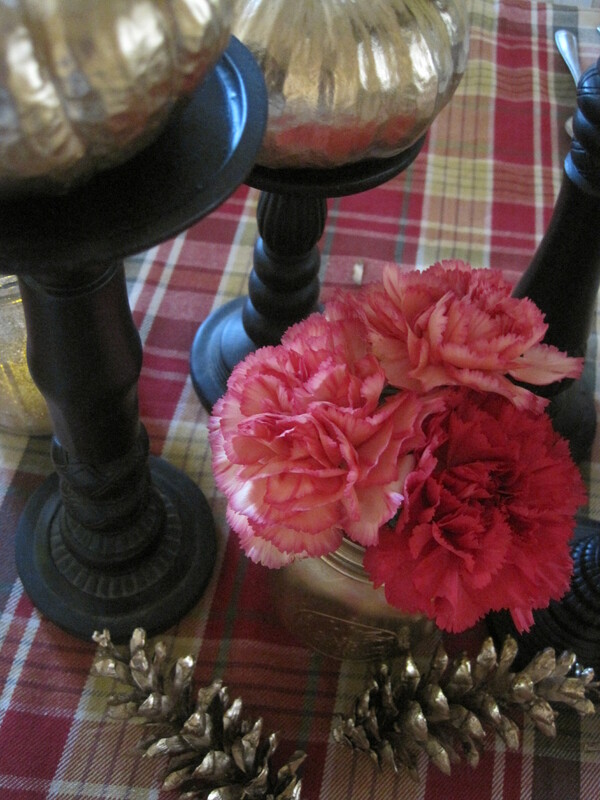 I decided to use them as part of a Thanksgiving tablescape. 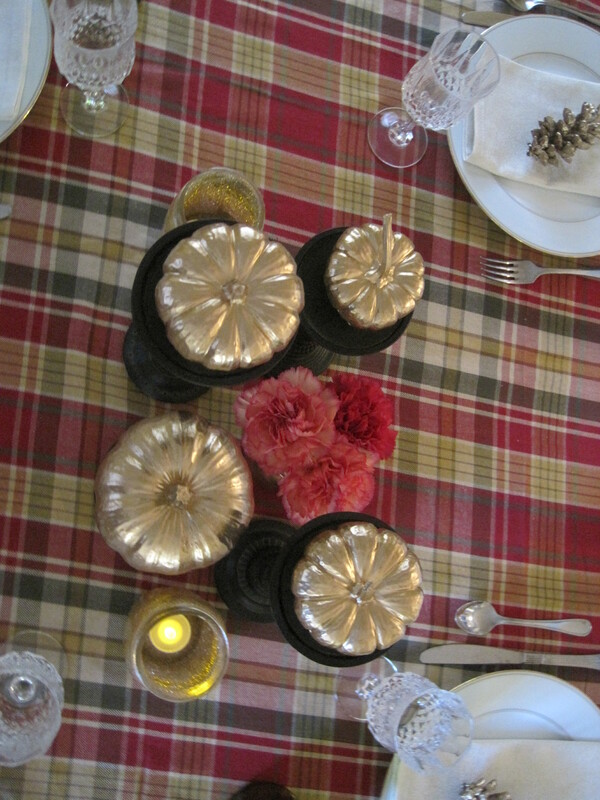 Spray Paint is in metallic gold (Walmart for 3.99), napkins from Target (two pack for 3.99), the rest of the table is vintage and décor that I have had.